Boasting a diverse group from all walks of life, Link NY Realty was excited to further diversify its team with Emmanuel’s background and skillsets. He took a leap of faith and abandoned the comfort and security of his job at Google, Inc. to pursue his life-long interest in real estate. Having been raised by a father with 30+ years in the industry, he became familiar with the real estate processes and terminology throughout his youth. He observed the level of fulfillment, independence and opportunity for growth it had brought into his father’s life, and dreamt of someday attaining the same. Emmanuel’s key contributions to the Link NY team include: innovative ideas to help the team better serve its clients, strong understanding of market pricing and trends, marketing skills attained from both academic and real-world endeavors, and a strong familiarization with the VA process, currently serving as a Sergeant in the U.S. Marine Corps Reserves. Having lived and worked in at least 6 different countries, he brings a breath of global perspective to our business. Emmanuel’s prime motivation is the opportunity to serve the community by linking people to their most ideal homes within their means. From day one, you will feel his genuine interest and loyalty to serve your needs above expectations. With utmost professionalism, effective and timely communication, eagerness to satisfy your timeframe, and answers to all the questions you may have throughout the process, Emmanuel will become your go-to for all things real estate. Emmanuel is culminating his final year at Mercy College in pursuit of a dual BS in Organizational Management & Marketing, with hopes of following through with an MBA from Fordham University’s Gabelli School of Business. His intent is to bring that knowledge home to the Link NY Realty team and become an active facilitator in the firm’s growth and development, with the end-goal of better serving the market’s buyers, sellers, and renters. 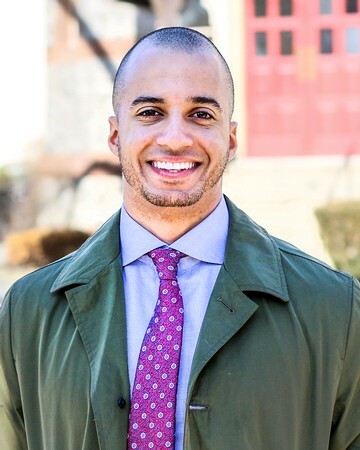 With mentorship from Valon, guidance from Realtor® values, and never-ending education, Emmanuel strives to be a premier agent in the greater New Yorker region.